This incredible 750 square foot outdoor patio and living space that Barry Ellis and our T.W. Ellis team has completed will serve our clients well. Stone pavers in Tuscon textured surface, along with an Old Towne Cobble charcoal border, provide an attractive patio. This space is designed for the homeowners to entertain their family and friends outside in beautiful natural surroundings. 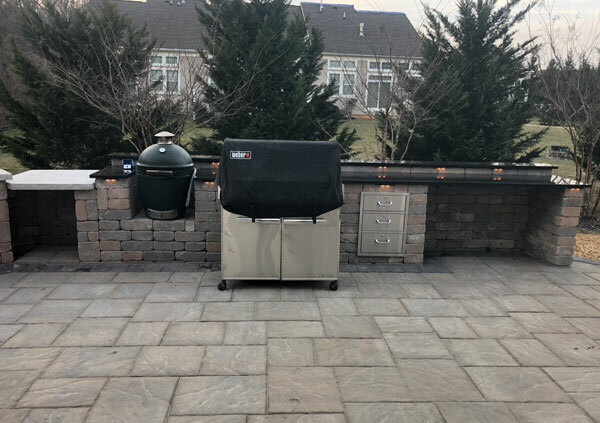 Everything has been provided for this living space; Big Green Egg ceramic grill, stainless steel grill, granite countertop on stone base with built-in task lighting, and stainless steel drawers, fireplace with dual storage bins for wood, comfortable seating, and refreshing hot tub. A 2’ x 18’ seating wall offers seating for large festivities. 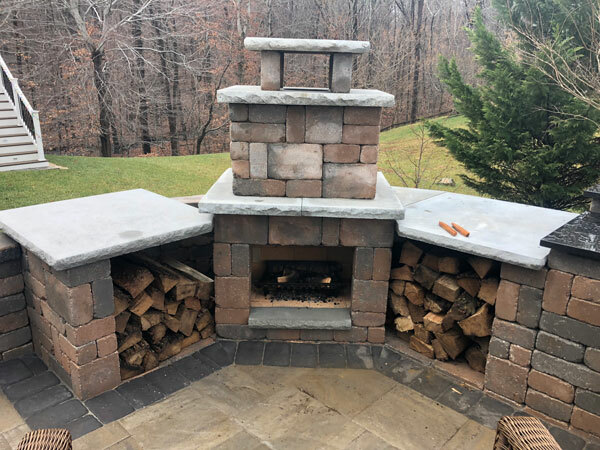 Our clients have already enjoyed their outdoor fireplace and are very pleased with their new patio. They definitely are prepared for some major fun when the warmer weather arrives. 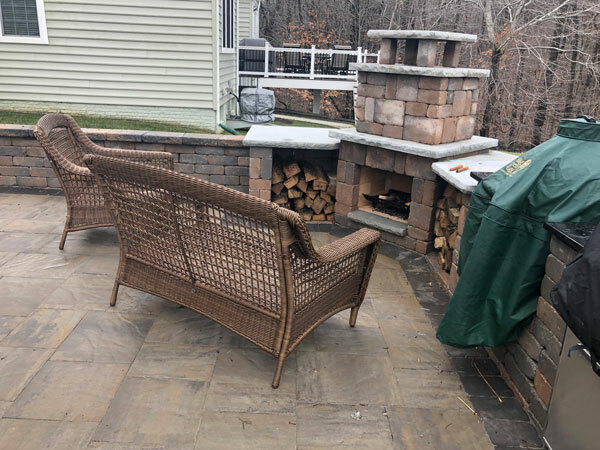 Contact us today about creating an outdoor living space for you to enjoy with your family. Whether the available space is big or small—together we can find the perfect solution and bring your ideas to life.